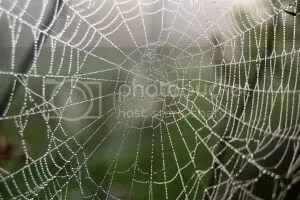 Most of us have probably seen the odd spider web glistening in the sun. Perhaps you’ve even walked into one and felt its fine, long threads tickling your face. If you’re one to shy away from spiders or are deathly afraid of them, you may not want to read on! A massive network of webs has been identified in Lake Tawakoni State Park, which is located in Texas, United States. So just how massive is this network of webs? Well, the spiders have been spinning their webs over several acres of trees in the park. One local insect biologist describes the occurrence as very unusual and explains that the main spiders found are long-jawed spiders. This is particularly unusual because long-jawed spiders aren’t social spiders, which are the ones who will normally build communal nests in other areas. Also, this kind of thing is more likely seen in the tropics, not Texas. The expansive webbing is similar to a canopy, spreading across trees in the park. For now, experts are analyzing the spiders to find out more about this enormous network of webs. 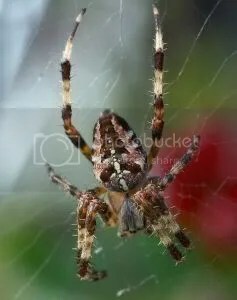 So far, several species of spiders have been identified in the webs – not just the long-jawed type – including big garden spiders. Most of the experts agree that this is something none of them have ever seen before. It’s also not something one would necessarily want to walk under either. With my long, curly hair, a lot of those spiders could fall onto my head and I’d have a hard time finding them all! Eeeeek. At this time of the year there are beautiful spider webs all throughout our pasture and it’s wonderful seeing the early morning light on them sparkling through the dewdrops.